Wednesday, May 4th The 57th Annual B’nai B’rith Charity Sports Banquet Qwest Center, 455 N 10th St. 5:45 p.m., $110 patron, $160 VIP, bbcharitybanquet.org, 402.334.6443 To me, nothing says “Jewish heritage” like college football. 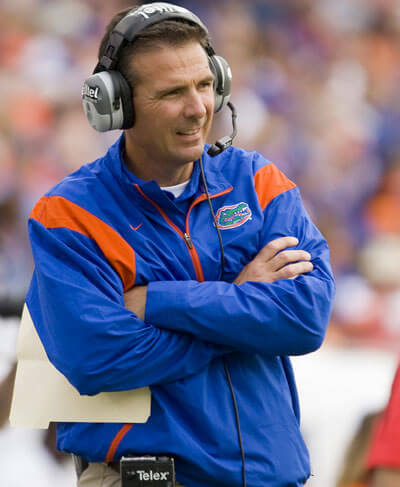 For this year’s B’nai B’rith sports banquet, they’re bringing in Florida coach Urban Meyer and Big Ten administer James Delany to talk to attendees. The B’nai B’rith of Omaha has been an active force in the community since 1884, which is probably longer than any Moose Lodge here, and this ceremony honors area athletes of distinction, as well as benefiting local non-profits. So, you know, good things all around.